The following essay was written to accompany the exhibition Loongkoonan and Lucy Ward: Ngarranggarni Mananambarra at Mossenson Galleries in Melbourne, March 23 – April 23, 2006. When I was young I footwalked all over Nyikina country. Footwalking is the proper (only) way to learn about country and remember it. I paint Nyikina country the same way that eagles see country when they are high up in the sky. I remember when I first saw the paintings of Loongkoonan. It was December 2004, and although aged in her 90s, Loongkoonan had only recently commenced painting. Sparse and raw, with ragged and scratchy brushstrokes jutting awkwardly across the canvas, her paintings betrayed little of the refinement and elegance that would soon emerge in her art. 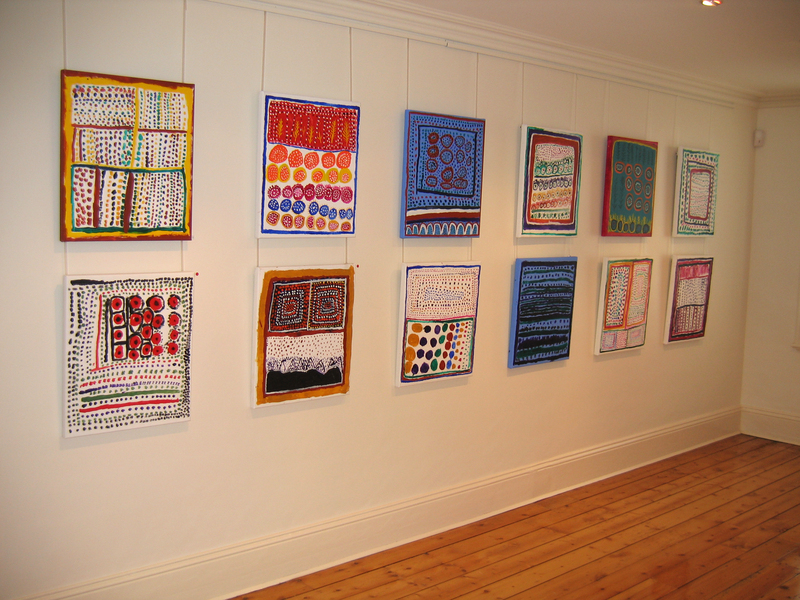 And yet, exhibited as a body of 26 small canvases in the exhibition River Stories, they evinced a palpable sense of experimentation. Each canvas revealed an artist eagerly trialling a range of iconographies and styles in order to depict her beloved Nyikina country. Within the blank expanse of the canvas, Loongkoonan was exploring the sacred places that defined her and her people. By depicting them on canvas, she was at once revisiting these places and at the same time entering new territory. In these crudely painted canvases, the artist was setting to work on an epistemic project that would mature into a uniquely Nyikina representation of place. As the first Nyikina artist to undertake such a project, they represented a profoundly significant and unmediated ‘first sight’. If this first exhibition signaled the commencement of such a project, the past twelve months have seen Loongkoonan refine it into a singular vision that balances grace and delicacy with an unmistakable emotive urgency. Far from the sparse roughness of her early paintings, Loongkoonan’s new works are gentler, softer – yet at the same time much more busy. Covered in overlapping dots, they shimmer with a delicate melding of colour and form that is reminiscent of early post-Impressionism. Beyond a purely painterly or aesthetic refinement, however, this development is indicative of an intense distillation of the culturally specific visual language that Loongkoonan was searching for in her earliest works. In order to grasp the significance of such a development, it is necessary to understand the social and cultural circumstances that define and bound the art and life of Loongkoonan and her painting partner Lucy Ward. Although they belong to different language groups, the experiences that shaped Loongkoonan (born circa 1910) and Lucy Ward (born circa 1920) have considerable parallels. 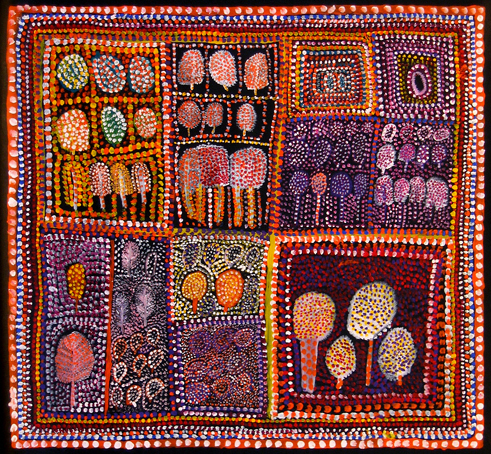 Both artists were born on the burgeoning cattle stations of the Kimberley. As young women, they worked on these stations, cooking, riding horses and mustering sheep and cattle. Like many Indigenous pastoral workers, they looked forward to the arrival of the Wet Season when they would footwalk their clan estates collecting bush tucker, medicine and spinifex wax. These experiences were formative for both artists and instilled in them a respect for the traditional systems of culture and learning that had guided their people for millennia. This knowledge is encapsulated in the concepts of Ngarranggarni and Mananambarra referred to in the current exhibition’s title. In his book Mates: Images and Stories from the Kimberley, the anthropologist and sociologist Kevin Shaw describes the Mananambarra as the senior custodians of Indigenous Law. Their lives and world-view, he argues, are shaped by their adherence to the fundamental and mystical truths of the Ngarranggarni. Usually equated with the concept of the Dreaming, Ngarranggarni is an all-encompassing term that refers to creation, history and traditional law of the Indigenous people of the Kimberley. According to Shaw, the Mananambarra are “barometers of community spirit, respect for individuality, creativity and passion for environment and justice”. Their principle value system, derived from the Ngarranggarni is based on a complex agglomeration of knowledge and learning acquired through persistence and hard work. These values are clearly reflected in the dedication with which Lucy Ward and Loongkoonan have thrown themselves into painting. Both artists choose to paint almost every day, and the focus and energy of these women is testament to the incredible work ethic of the Mananambarra, which rejects idleness and sloth. In a more profound sense, however, this dedication reveals a desire to record their stories as part of the duty of Mananambarra to preserve this knowledge for future generations. 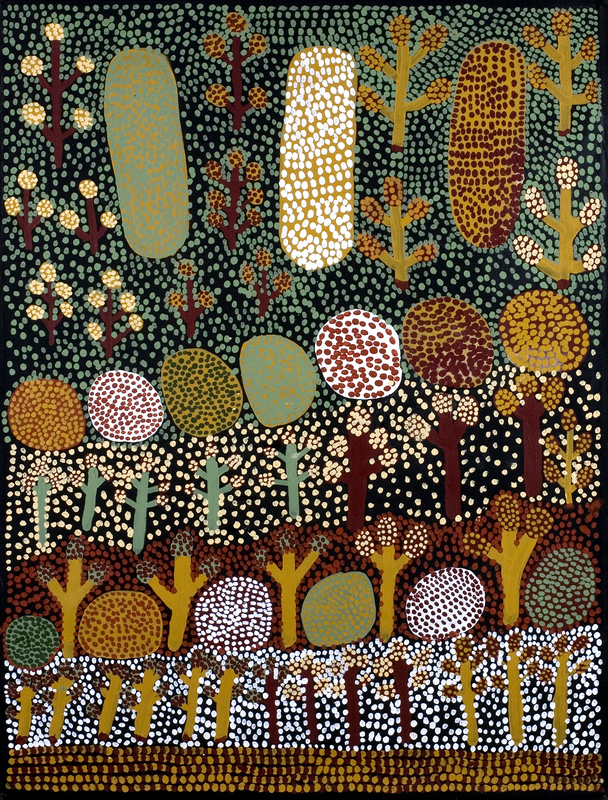 It is this desire to document and preserve the knowledge of the Ngarranggarni that has propelled the visual program within Loongkoonan’s painting. This can be seen in the subtle shift in Loongkoonan’s work between specificity and totality. Take for instance, the distillation of themes that has occurred in her work since River Stories. Of the 26 paintings included in River Stories, most works depicted specific places within Nyikina country. In both their titles and imagery, the paintings referred to clearly identifiable locales, such as Mount Anderson (Jarlmadanka), Udialla and Liveringa Hill. In contrast, most of Loongkoonan’s new works bear the seemingly generic title of Bush Tucker. Far from being generic, however, these works perform a complex double-take between specificity and totality. Whereas the early works were sparse in their composition and generally referred only to a single geographical locale, Loongkoonan’s new works are packed with detail. 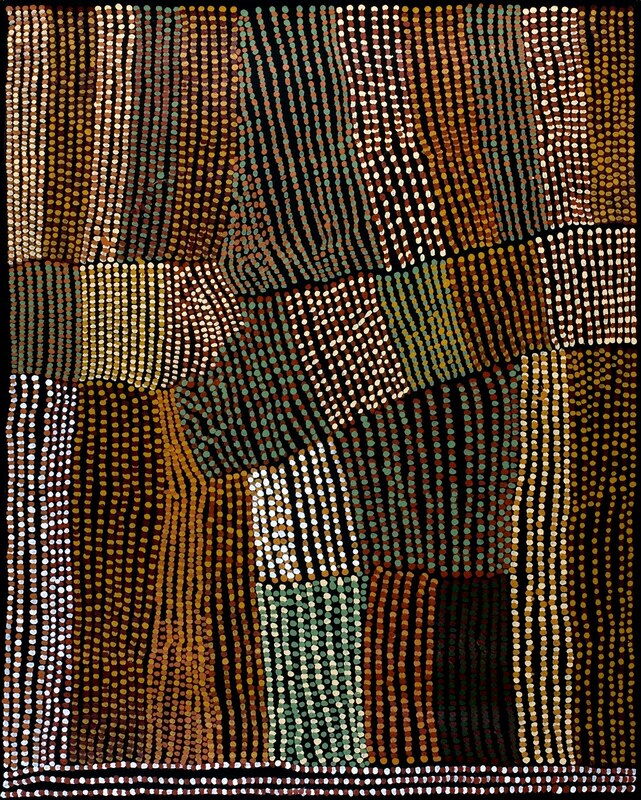 Snakes, rivers, bush plums, coolamons, mountains, floodwaters, dancing grounds and springs all jostle for position in these loaded canvases, as though Loongkoonan is trying to literally enact Emily Kngwarreye’s metaphysical claim to paint the ‘whole lot’. That said, in a more figurative or allegorical sense, these works are complex mappings of substantial cultural knowledge. This is clearly evident in the proud and central discursive position that Loongkoonan places on knowledge of bush skills. In my time there was plenty of tucker in the bush. My mother and the old girls who grew me up taught me how to find sugarbag (bush honey) in trees and in the ground. They showed me how to make limirri (processed spinifex wax). Limirri from Nyikina country is Number One. Beyond a simple botanical reference, ‘bush tucker’ acts as a metonym for the accumulated knowledge of the Mananambarra. Just as Loongkoonan laments the declining availability of ‘tucker in the bush’ – undoubtedly due to the ecological degradation caused by the pastoral industry – ‘bush tucker’ serves as a referent for a different time, when the hierarchies of knowledge and learning were respected. In many ways, this nostalgia lends the works a sense of solemnity and loss. And yet, this sorrowful tenor rarely impedes the sense of pride and joie de vivre that dominates Loongkoonan’s paintings. As much as these works lament the decline of the cultural values upheld by the Mananambarra, they are also defiant statements of the continuation of Indigenous culture, offering a vision of hope that this cultural knowledge can be saved and passed on to future generations. This optimism is, in part, due to the temporal resilience of the Ngarranggarni, the way in which it resists being defined purely in terms of the past but is instead involved in a constant back-and-forth dialogue between past, present and future. This is clearly evidenced in the paintings of Lucy Ward. 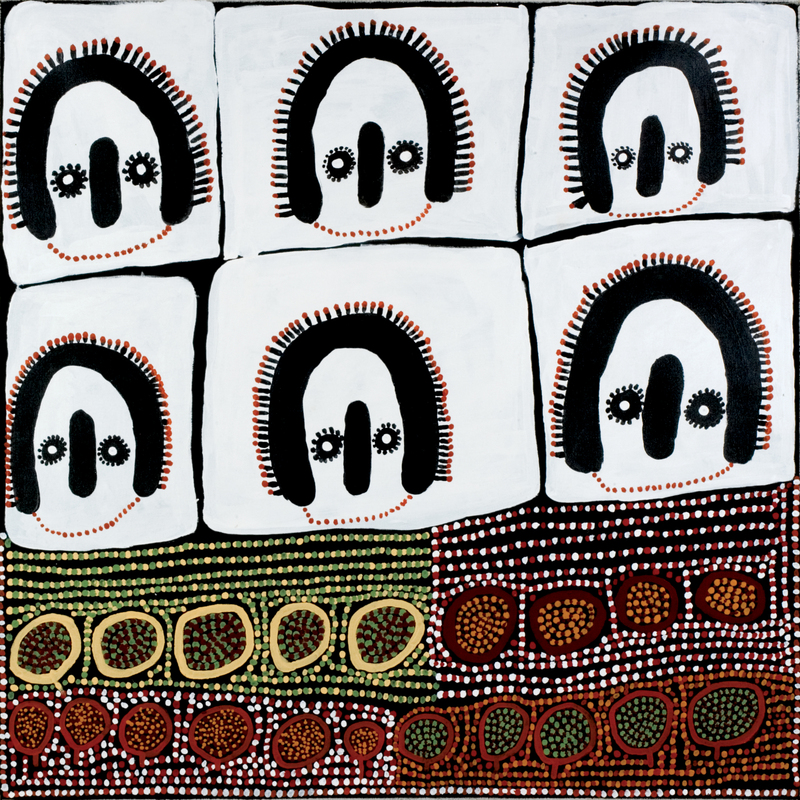 As a Ngarinyin woman, painting plays a central role in the remembering process that connects Ward to her country and culture. 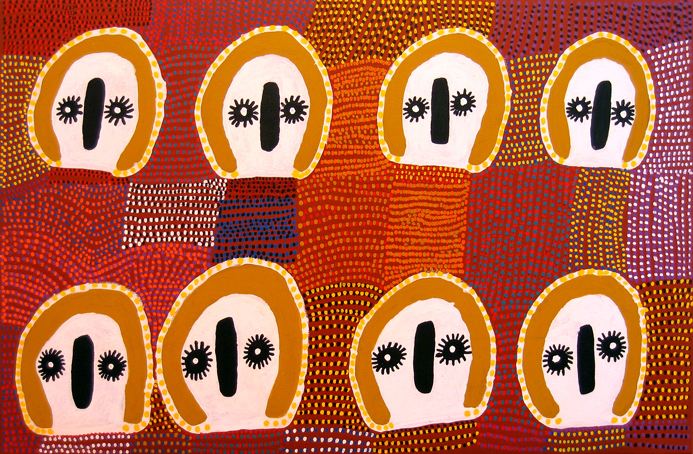 For thousands of years, the Ngarinyin have used the painting of Wandjina spirits to forge a direct connection to the Dreaming. During the Dreaming, Wandjina controlled the elements and were instrumental in shaping the landscape and law. The Wandjina left their images on the cave walls in order to watch over the land and the Ngarinyin people. 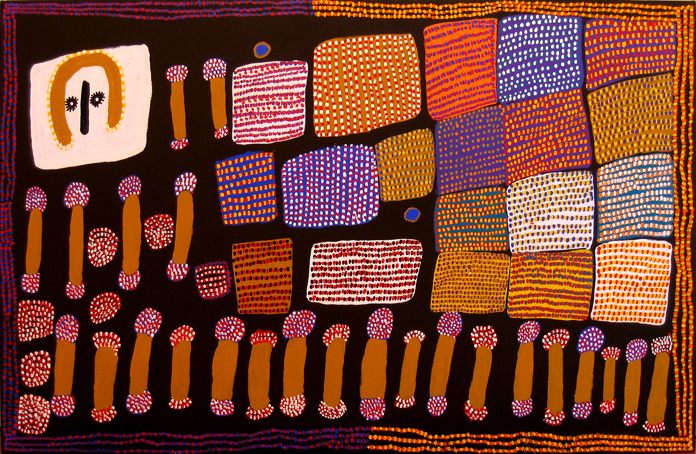 By repainting the Wandjina, the Ngarinyin create a direct and unbroken link to the Dreamtime. It is with immense fondness that Ward recalls watching her father and grandfather paint these spirit figures on the cave walls, and it is with great reverence that she continues this tradition on canvas. Like Loongkoonan, Ward also paints ‘bush tucker’. Ward’s bush tucker, however, is generally restricted to the painting of ‘sugarbags’ or bush honey pods. These ‘sugarbags’ are Ward’s personal totem and connect her to the country of her birth. “I was born in Ngarangarri country,” she declares. 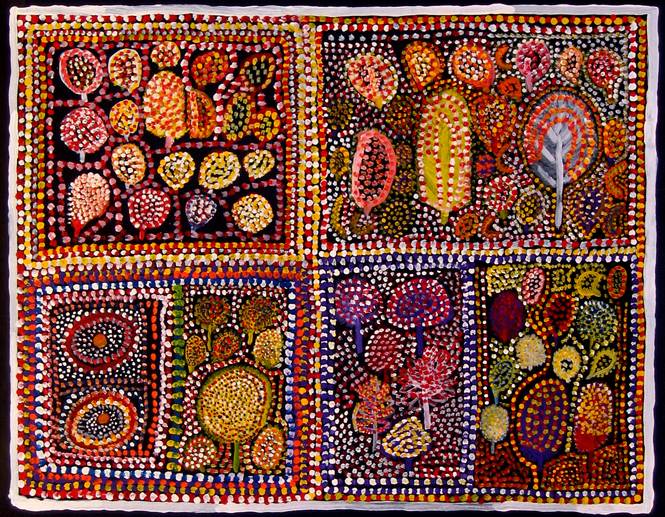 “Ngarangarri is the honey dream; ngara minbinya, honey is good tucker.” Ward’s sugarbags are depicted as an array of brightly coloured dots, often organised into irregularly shaped squares. As a simultaneous symbol of the physical, spatial and the personal, these seemingly abstract shapes create a complex metaphor for identity and country. They become part of a sacred and personal geography that Marcia Langton has termed ‘placedness’ or “site-markers of the remembering process and of identity itself.” This ‘placedness’ transcends Western notions of temporality. 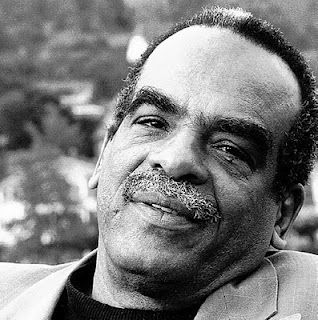 For Ward, the past is not, as L.P. Hartley famously suggested, ‘a foreign country’, but rather a familiar (and specific) country that situates and unites all moments in time. As it is the act of painting that constitutes this ‘remembering process’, placedness preferences the process of painting over the final product. Each mark on the canvas becomes like a fingerprint, betraying the trace of its creator’s application. Both visually and semiotically, this trace becomes a potent metaphor for the shuttling between time and space that underlies these paintings. Just as this shuttling allows Loongkoonan to balance nostalgia with hope, so it also allows Ward to balance an idiosyncratic playfulness with the profound pathos that emerges from her heartfelt respect for the traditions and rituals of her people. 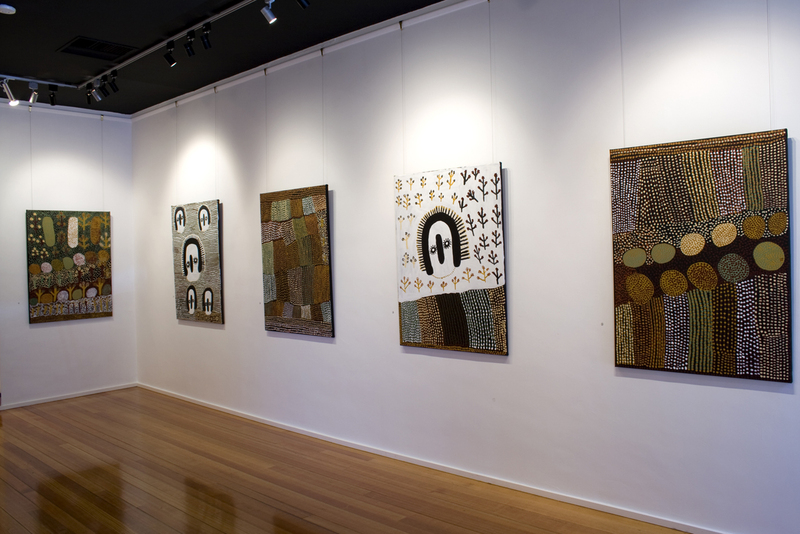 Simultaneously innovative and traditional, these works inhabit a temporality that is neither past, present, nor future, but is rather part of the sacred link that connects Loongkoonan and Lucy Ward to the timeless and sacred Ngarranggarni. Omborrin and Loongkoonan: River Stories, Indigenart, The Mossenson Galleries, Carlton, Victoria, 23 February-23 March 2005. Prior to Loongkoonan, the only noted Nyikina artist was Butcher Joe Nangan. Born around 1902, Nangan established a reputation for his skilful engravings on boab nuts and pearlshell, before turning his talents to producing delicate and detailed figurative images of flora, fauna, along with scenes of ceremonial, historical and mythological significance. Whilst Nangan’s works reveal an immense cultural knowledge, they remained rooted in the Western figurative style and therefore signify a markedly different visual and epistemological project than that of Loongkoonan. See Kim Ackerman, ‘Butcher Joe Nangan’ in Sylvia Kleinhart and Margo Neale, The Oxford Companion to Aboriginal Art and Culture, Oxford University Press, South Melbourne, 2000. The plural form of the singular Manambarra. Kevin Shaw, Mates: Images and Stories from the Kimberley, Australian Scholarly Publishing, Melbourne, 2004.